A lot of people ask me about my current skin care routine. To be honest, not a lot has changed since the last time I gave an update. 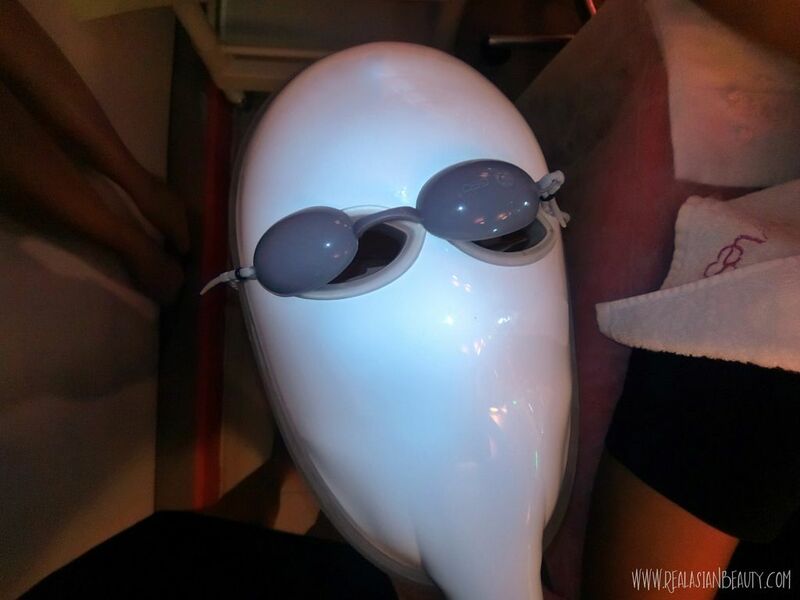 However, I did try a new facial treatment at Flawless - the Flawless Rejuvelite Mask Facial! Here is my skin BEFORE the facial. My skin has been cooperating with me lately, not a lot of acne breakout and it has seemed to control the production of oil, therefore reducing the risk of acne breakout. The only concern I have with my skin these days are still the ice-pick scars and open and visible pores. 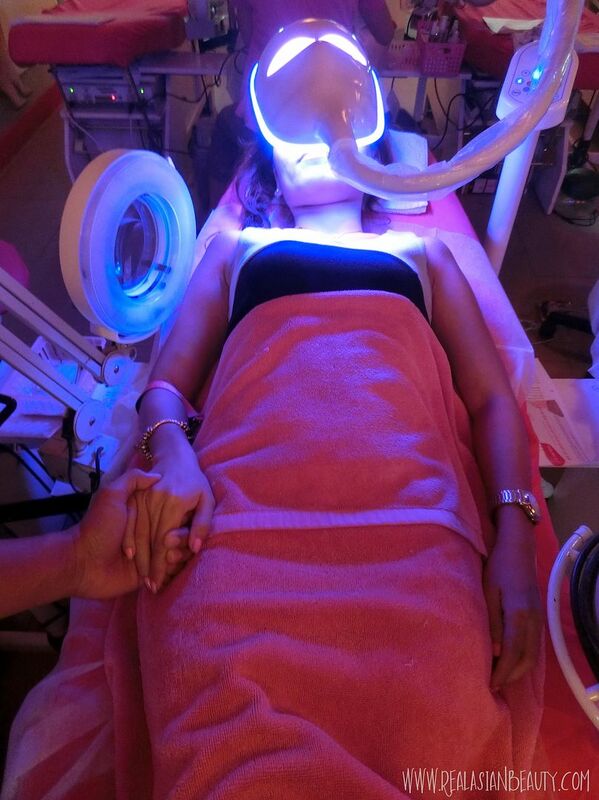 Flawless introduces a technologically advanced aesthetic treatment that sheds light to all skin concerns! 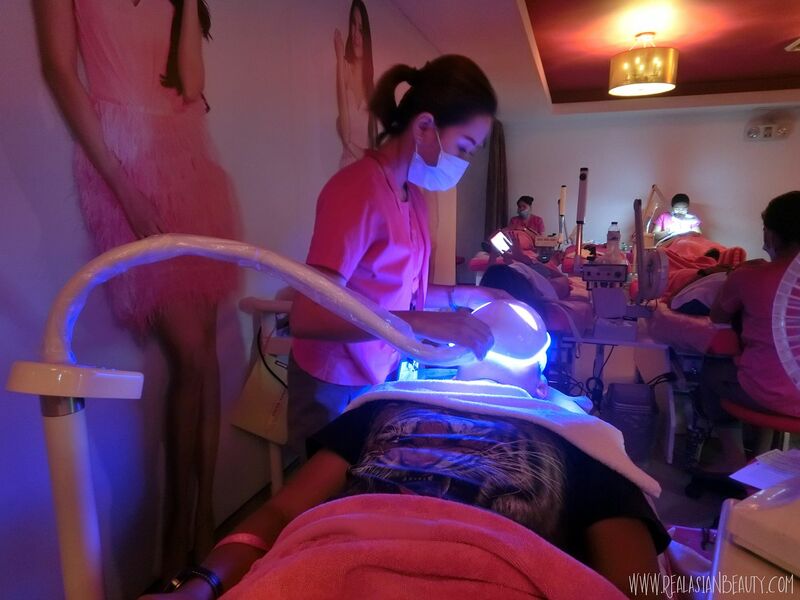 The Rejuvelite Mask Facial is powered by LED technology that activates collagen production and boosts skin rejuvenation for total beauty. This treatment works by allowing the skin to absorb light energy to produce cellular fuel and increase activity of the body's natural healing and regeneration processes. 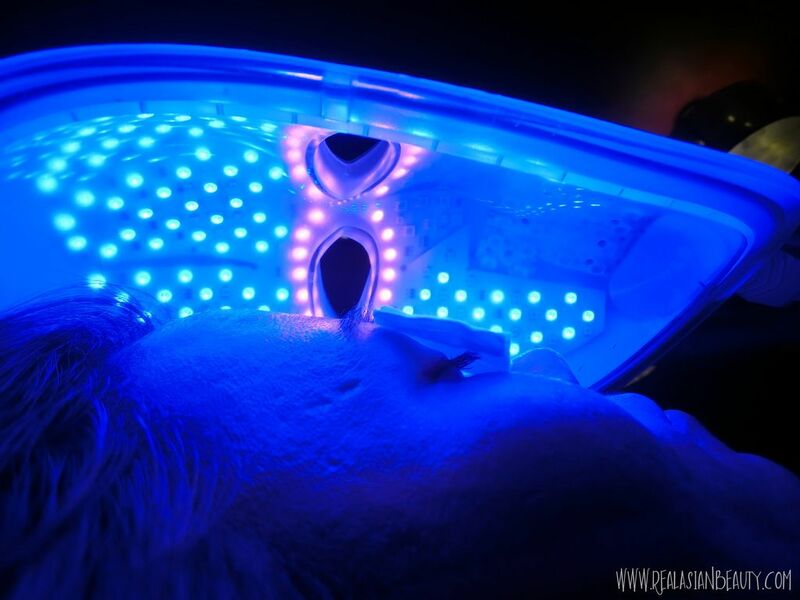 Rejuvelight Mask Facial offers 7 different colors of visible light and infrared light to produce various benefits to the skin, such as firming lines, soothing skin, repairing damages, clearing acne and blemishes, reducing redness and balancing complexion. Since you guys also know that I DO NOT belong in the "Forever Alone" zone anymore, I decided to go to Flawless with my boyfriend. (Why I do not want to show his face will be answered in another blog post.) My BF doesn't have acne like I do, but I am concerned about his skin because of the field of his work. He often gets exposed to heat, dust and sunlight and I noticed that his skin is dark, oily and has some spots. I thought the Flawless Rejuvelite Mask Facial could help improve his skin condition, too. 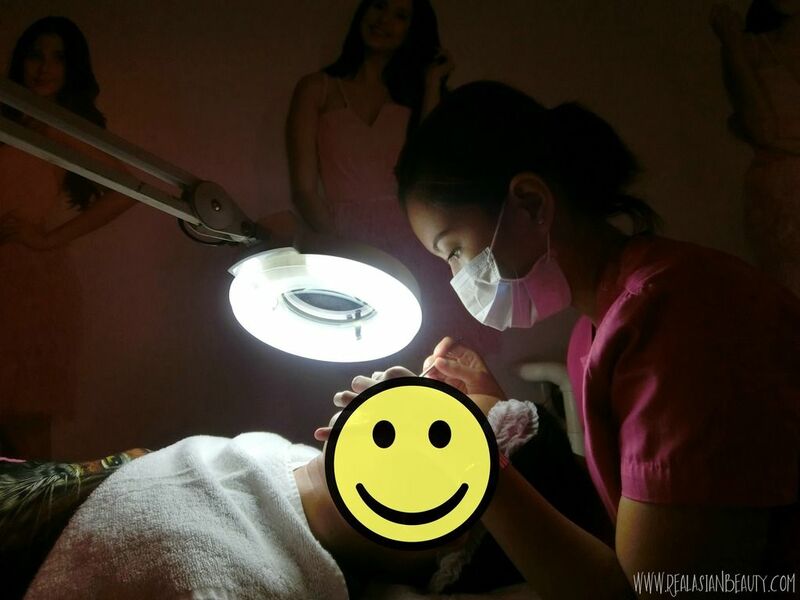 Apparently, it was his first time to ever have "pricking" facial. He has some spots that needed to be pricked. 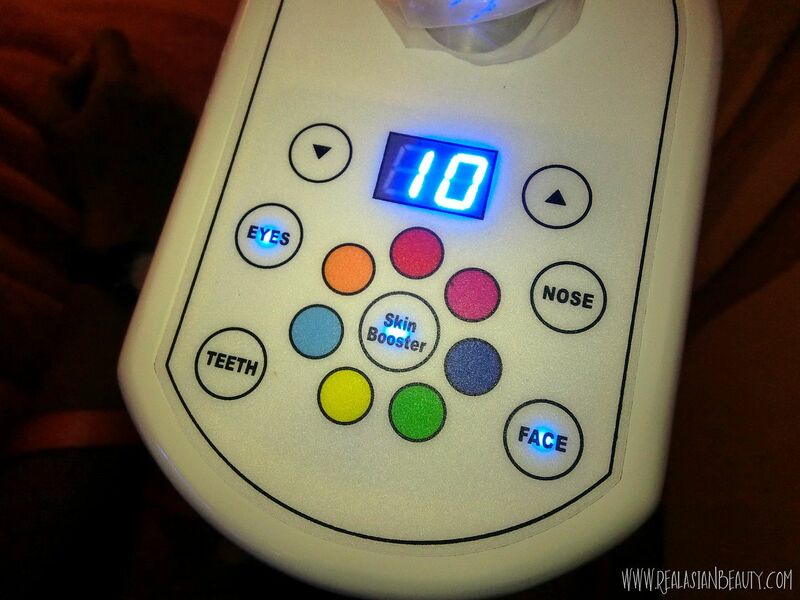 He suddenly gasped, "Love, is this Fractional Needling Therapy I'm having??!" LOL! At first, my BF thought it was awkward for him to be inside a room that is filled with so much PINK. But while we were inside the clinic, he told me he was shocked when he saw some other men having facial treatments as well. He got to try the Rejuvelite first before I did. He was so excited and I was excited for him as well! In my mind, I was excited because this is one of the newest treatments at Flawless. However, I am sure my BF was excited because the mask looks like Iron Man or something. Ahhh, it looks so cool! I can't wait to try it! While Bf was enjoying his Rejuvelite a.k.a. IRON MAN mask, I had my usual facial and pimple pricking. Before the Rejuvelite mask, Anti-septic mask was first applied on my skin to close the pores from the pricking and to prevent irritation. That is why my face looks glossy in the picture. After years and years of going to Flawless alone, there HE is, a man beside me, laying on a pink bed, having facial treatment to support me and the things I enjoy. Aww. The last time I went to Flawless for a facial was 2 months ago. 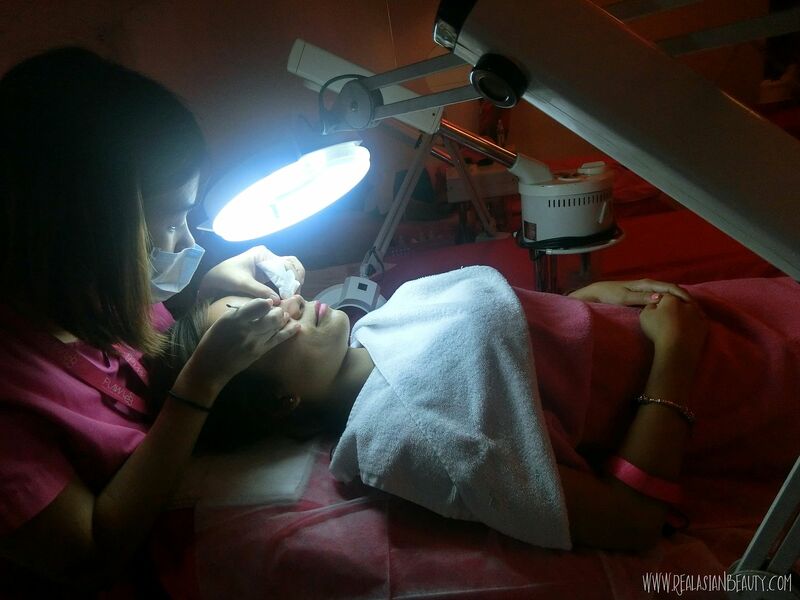 Every attendant in Flawless is knowledgeable and has gone through proper training. However, I have a few known attendants that handle me and have been handling my skin since my first few sessions at Flawless. Most of them have delicate hands, especially when it comes to the "pricking" part. 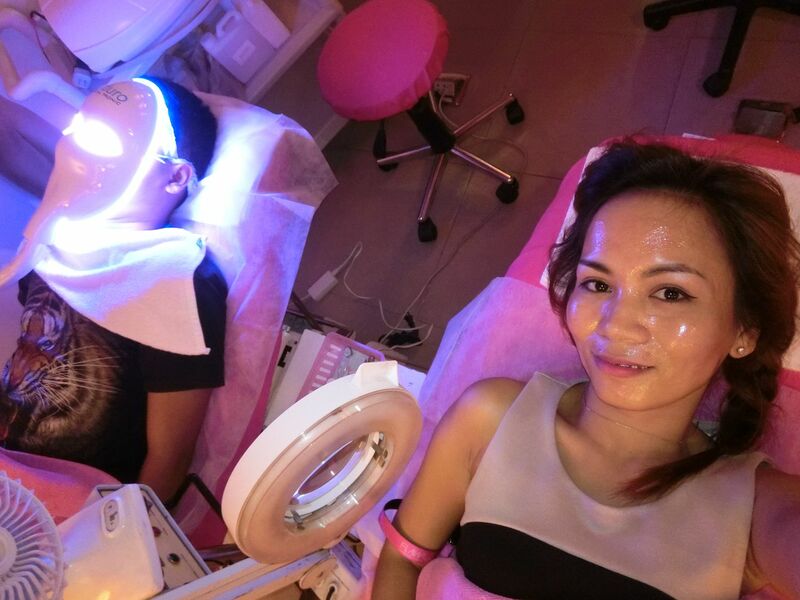 My attendants, Lance(Flawless SM North) and Andy(Flawless Cubao), have unbelievable light hands even when pricking! Whenever these 2 girls would prick my pimples, it won't hurt and I could even sleep while they prick my acne culprits. But since a new attendant pricked my pimples, it felt different and painful that I cried and almost asked her to stop. I have high pain tolerance so when I say it hurts, it really hurts! Anyway. Flawless offers Rejuvelite Mask Facials in 4 Full variants : Rejuvelite Oil Control Mask Facial, Rejuvelite Acne Control Mask Facial, Rejuvelite Age Defy Mask Facial and Rejuvelite Whitening Mask Facial. All variants cost Php 1,100 per session. These gorgeous effects depend on the wavelengths of light used, which is determined by color. 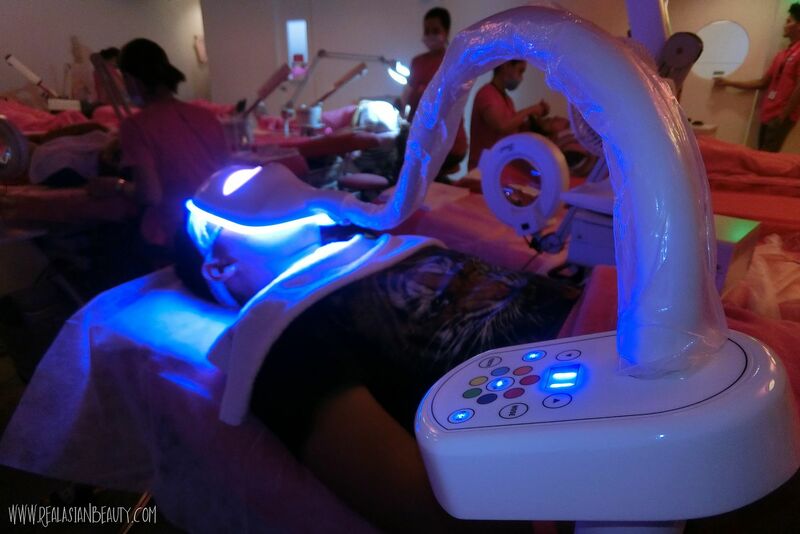 Red and Purple lights promote youthful beauty, red combats wrinkles and increases collagen production for a smoother, younger-looking skin, while purple increases cell regeneration and renewal. 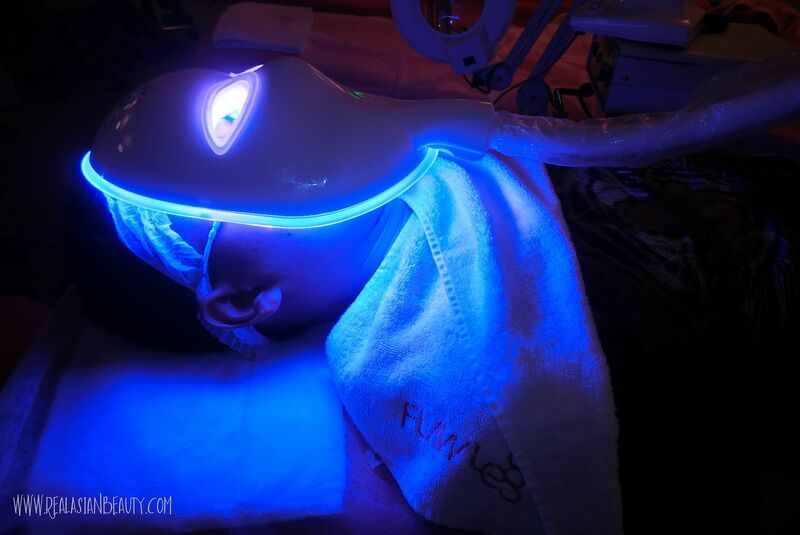 For damaged and irritated skin, cyan and yellow lights are useful for healing as cyan calms and soothes irritated skin and reduces swollen capillaries, and yellow alleviates redness and heals skin from inflammation, sunburn, windburn and other environmental damages. #RelationshipGoals.  If you have a significant other and you want to treat him, why don't you take him to Flawless? I am sure he would appreciate some pricking and an "Iron Mask" facial, too! Here is my skin BEFORE and AFTER the Rejuvelite Mask Facial. Both with no powder nor foundation. Normally, my face would be swollen and pimples spots would be red right after a facial treatment. But because of the new Rejuvelite Mask, my face looks fresh and smooth, as if I never had pimple pricking! After the facial, we watched a movie and had dinner. 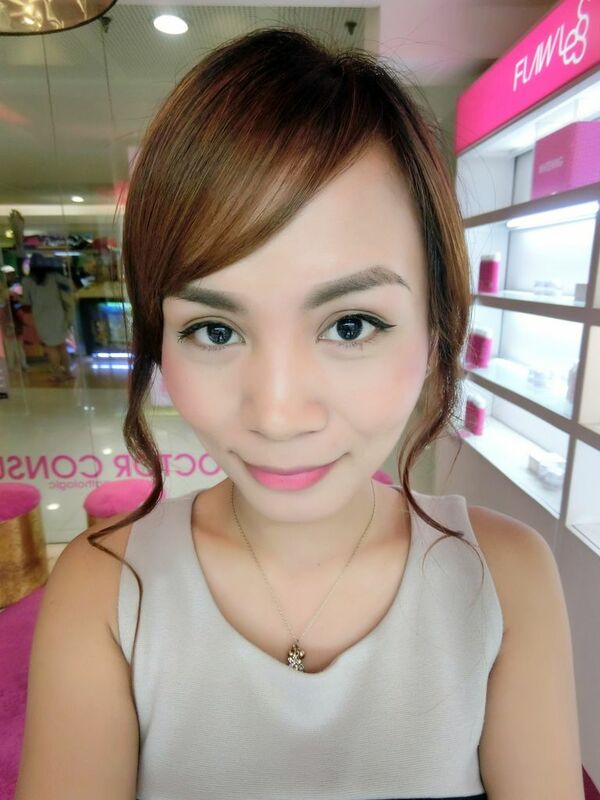 It was my first time to ever go around the mall without powder or foundation on yet I was able to walk around confidently. Here's my Mystery Man checking his skin after his Flawless Rejuvelite Mask a.k.a. "Iron Mask" mask. He was delighted to see his renewed, better-looking skin! 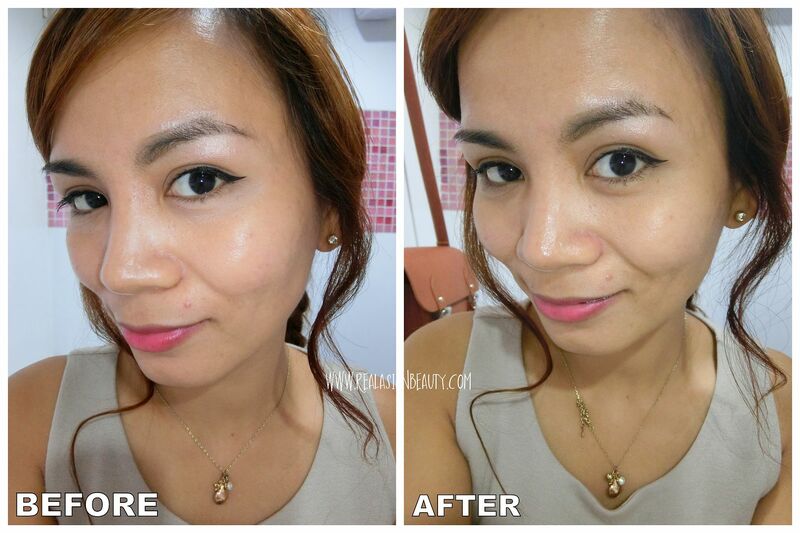 To know more about Flawless, please visit www.flawless.com.ph or follow Flawless on social media : Facebook.com/FlawlessFaceandBody and Instagram.com/MyFlawless.